Stem-cell based cell therapy has remarkable potential for the treatment of a variety of degenerative diseases. The CHDSCR has outstanding links with the National Institute for Health Research/Wellcome Trust Clinical Research Facility that provides state of-the-art clinical research facility with dedicated research nursing teams, clinical trials infrastructure and, given its placement within Southampton General Hospital, a large and diverse population research base drawn from the South West and East of England. In Southampton, we are refining surgical techniques to aid stem cell transplantation for a number of eye conditions such as inherited or age-related macular atrophy. Our aim is for this work to aid further clinical trials in this exciting area of regenerative medicine. 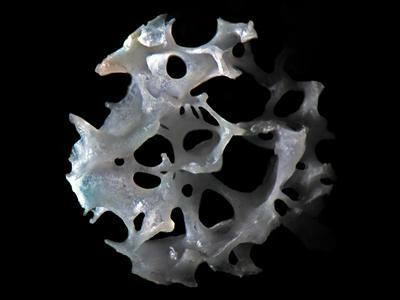 In the musculoskeletal area we have undertaken studies harnessing skeletal stem cells with graft and smart materials including 3D printed titanium constructs for patient treatment in areas from avascular necrosis to complex revision arthroplasty. In 2014 we completed the first 3D titanium printed hip-bone stem cell reconstruction operation. We are intending to generate living stem cell scaffold composites for application in a range of musculoskeletal conditions in the next five years, and to establish trials within the next 2 years.